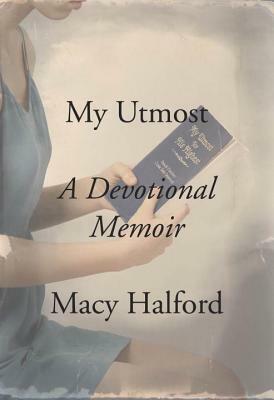 Raised in an Evangelical household by her beloved grandmother and mother, Macy Halford eventually leaves Dallas for college and a career in journalism in New York City. As her work and friendships increasingly take her into a more secular world, Halford finds her Evangelicalism evolving in interesting directions. Yet she continues to read My Utmost for His Highest—a classic Christian text, beloved by millions of Evangelicals around the world—every day. Eager to understand Utmost's unique ability to bridge her two worlds, she quits her coveted job at The New Yorker in order to look more deeply into the background of the devotional—with its daily selection from the sermons and writings of the Scottish Evangelical preacher Oswald Chambers—wrestling with who Oswald really was, what ideas informed his teaching and beliefs, and why the book means so much to her. Interweaving her own story with that of the Chamberses (Oswald died ministering to British soldiers in World War I Egypt; his devoted wife spent her life publishing his speeches, sermons, and books), Halford gives us a captivating and candid memoir about what it means to be a Christian, a reader, and a seeker in the twenty-first century. MACY HALFORD was born and grew up in Dallas, Texas; graduated from Barnard College; and worked at The New Yorker, where she eventually wrote most of the book reviews for the website. This is her first book. She is now living in Paris.